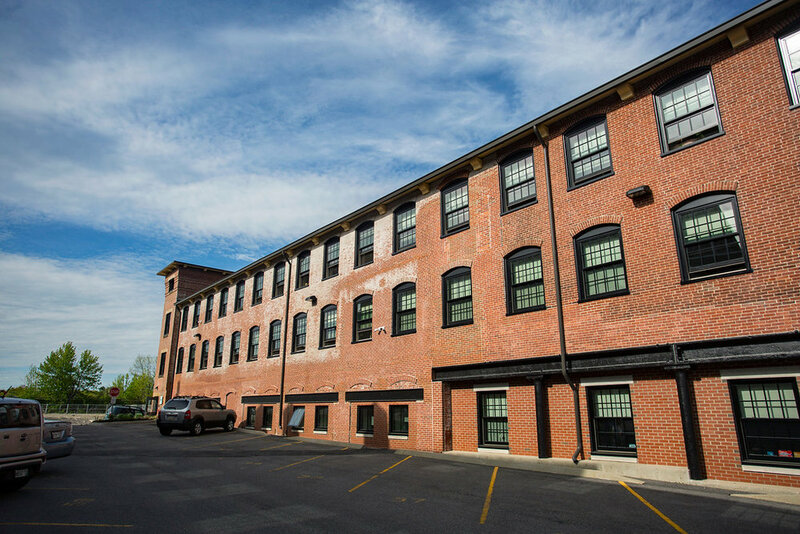 The 20th century saw a huge shift in textile manufacturing from New England to the American South, and ultimately overseas. 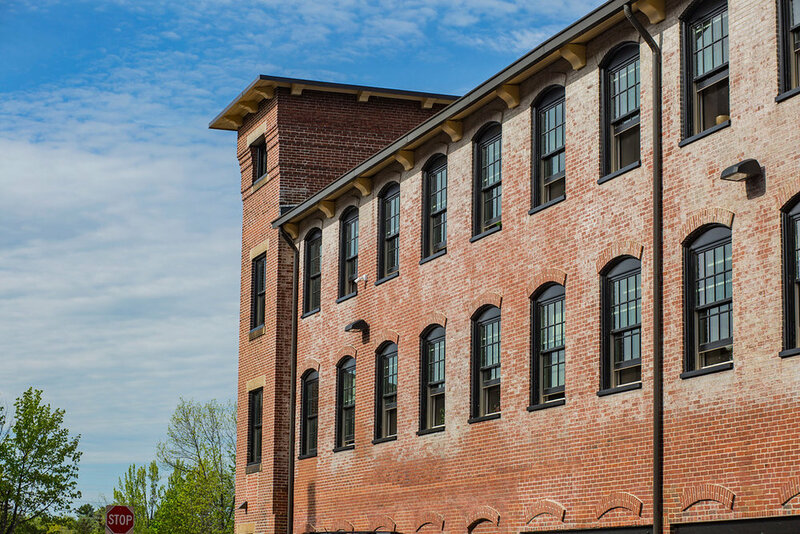 This seismic change posed enormous challenges for towns along the Saco River, home to some of the largest cotton milling complexes in the country. 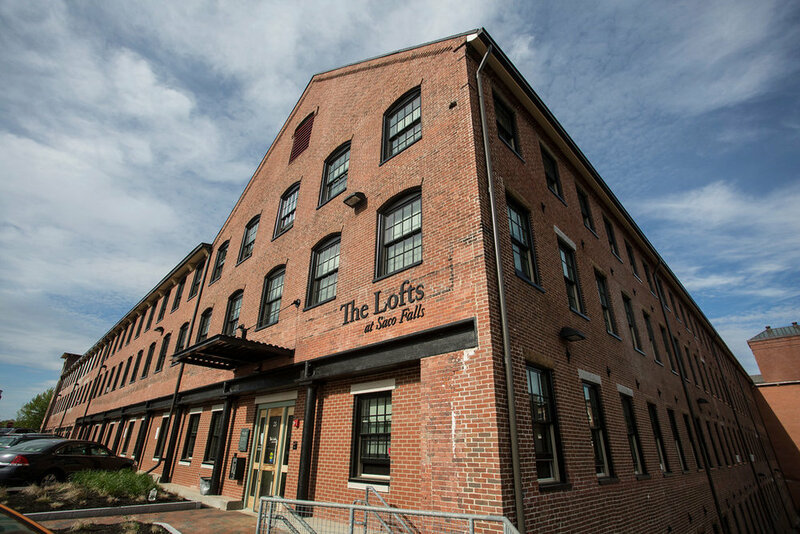 As orders dried up, it became impossible for the Saco-Lowell Shops in Biddeford to survive. 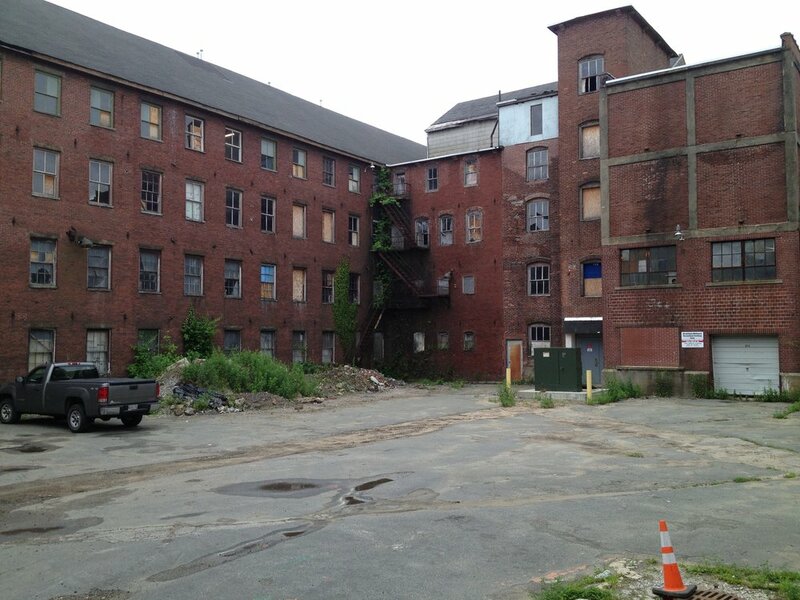 By 2015, the building was virtually empty, and it had been years since any significant maintenance had been done. 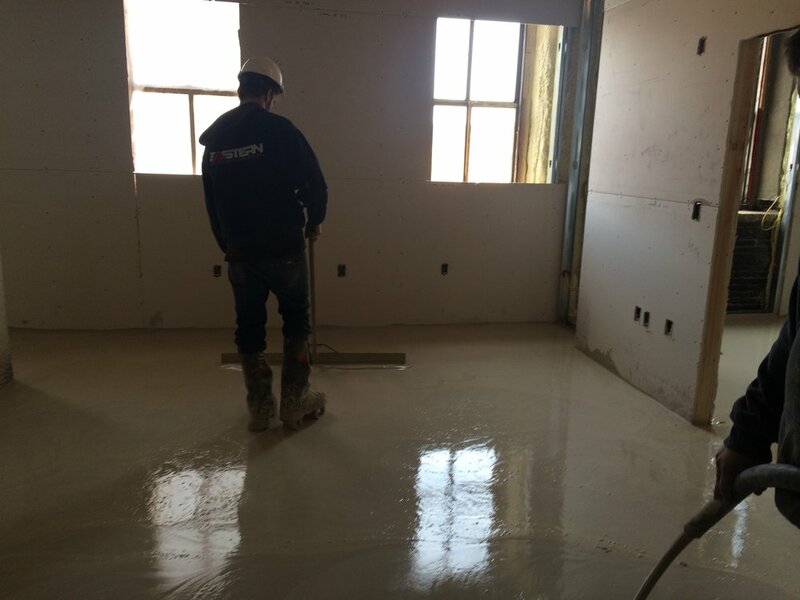 A leaking roof and broken windows compromised structural members and rotted the floors. Lack of interest in reviving the property was due primarily to its location next to a trash burning electricity plant. 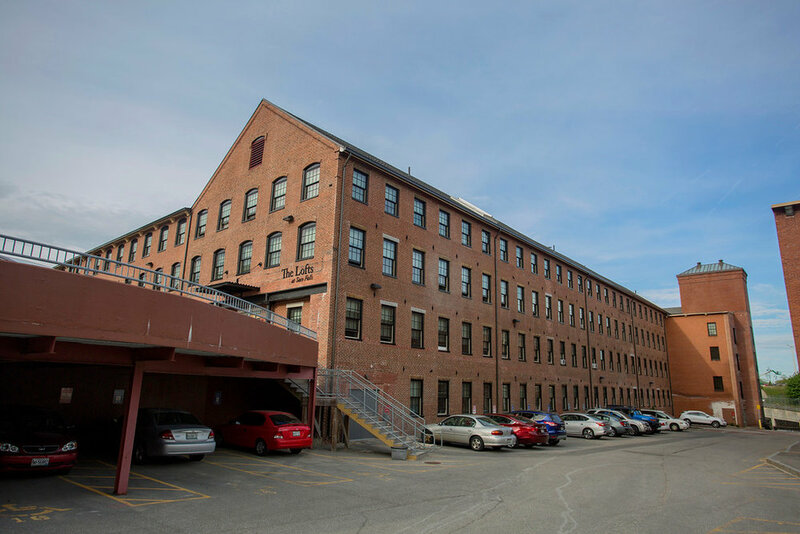 But when the City of Biddeford decided to purchase and demolish that facility, the historic property next door had a second chance and the Szanton Company snapped it up. 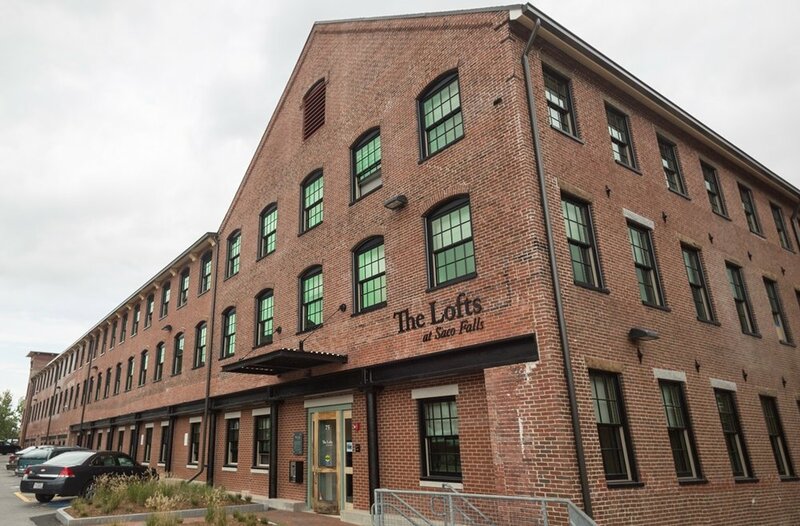 The new owner had two goals: 1) to preserve a vital part of Biddeford’s industrial and cultural history; and 2) to provide desperately needed, high quality, new rental housing for diverse income groups. 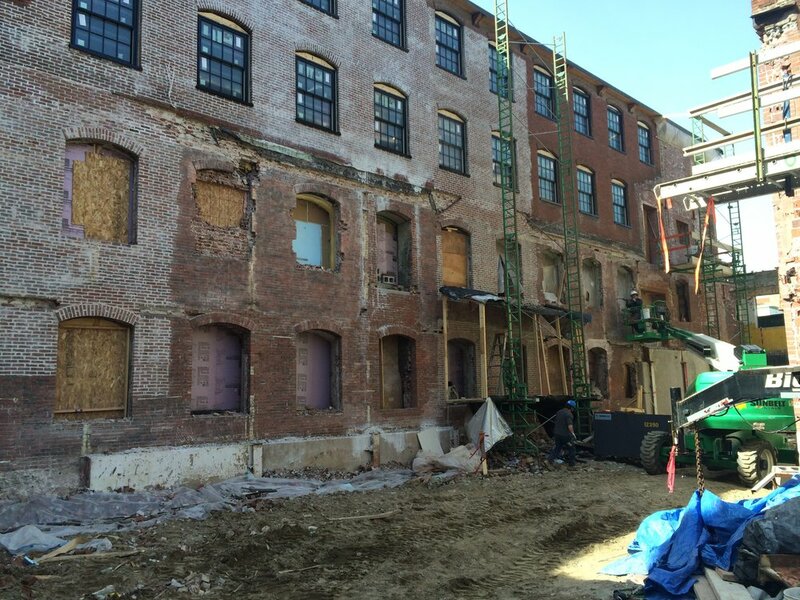 This tax credit rehabilitation project encountered major hurdles including extensive rot in the carrying beams holding up the first level; the decision to demolish a 20th century connector building without damaging adjacent 19th-century buildings; and careful repair of the “scar tissue” on the face of the 1867 north wing. 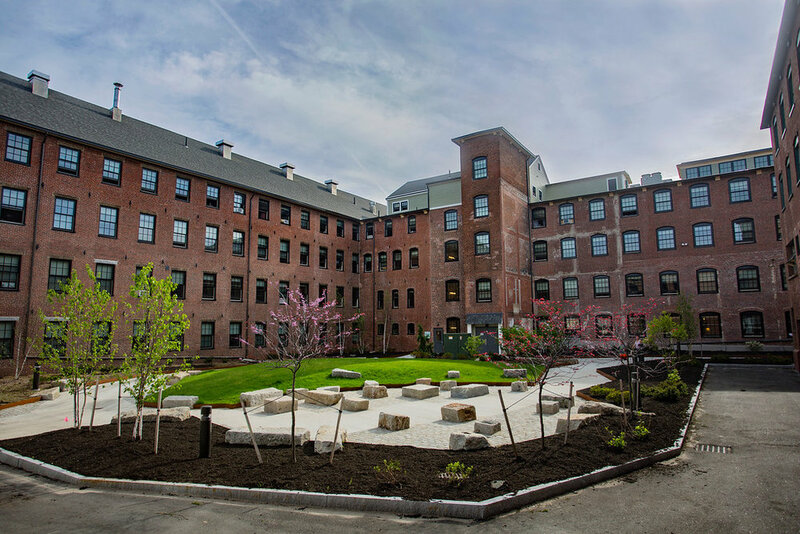 Crews also had to remove existing heating, plumbing and electrical systems, and replace all windows—including some mid-19th century openings that had been blocked for decades. They even had to remove and rebuild the gargantuan roof, and repoint all the exterior brickwork. 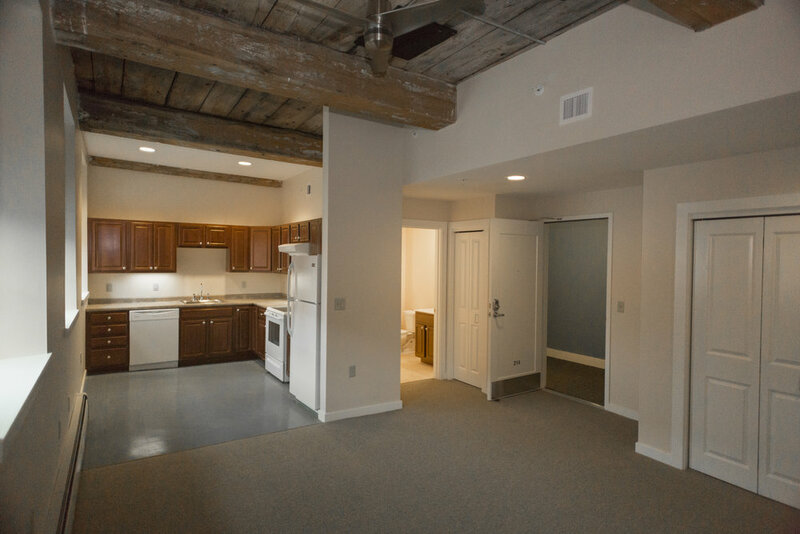 With much of the structural work complete, the builders created corridors inside of each major wing with new 1- and 2-bedroom apartments on either side. 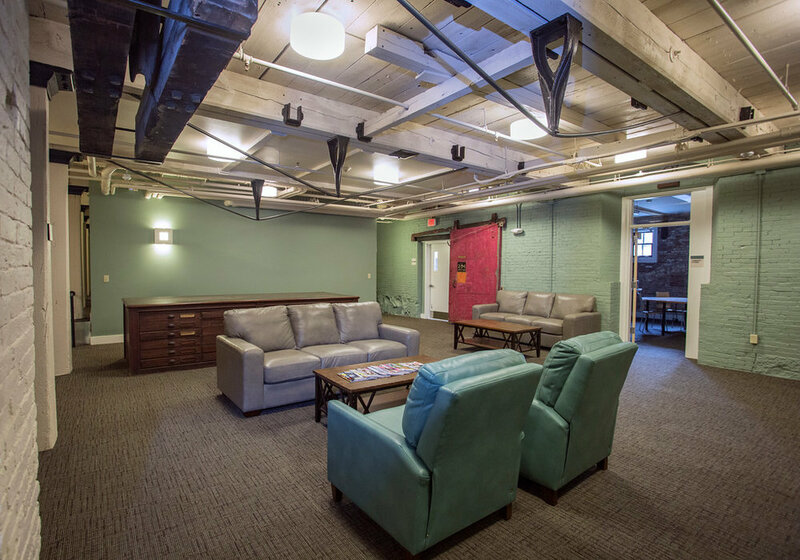 A fitness room, bicycle storage room, community room with kitchen, and other amenities were added. 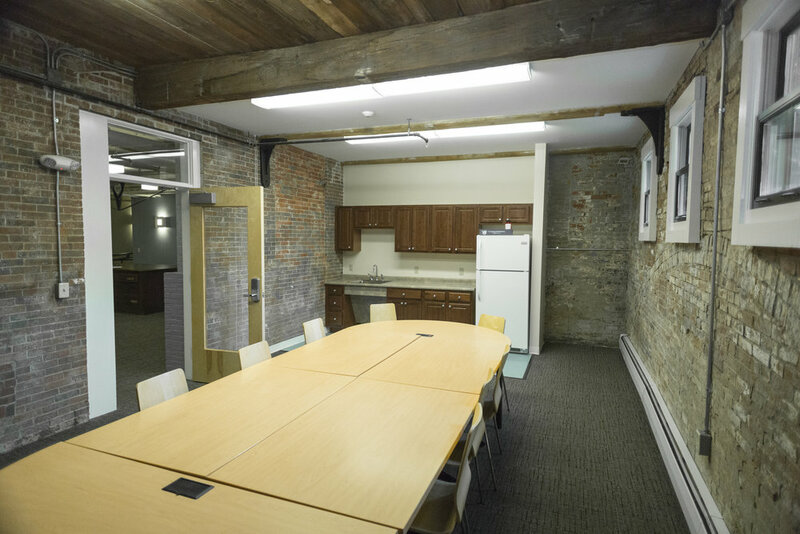 In the attic of the 1842 wing, a hauling wheel framed with heavy timbers -- believed original to the building—was discovered, as well as an enormous chest of drawers once used to store spare machine parts. Both artifacts have been placed in the community room for display. 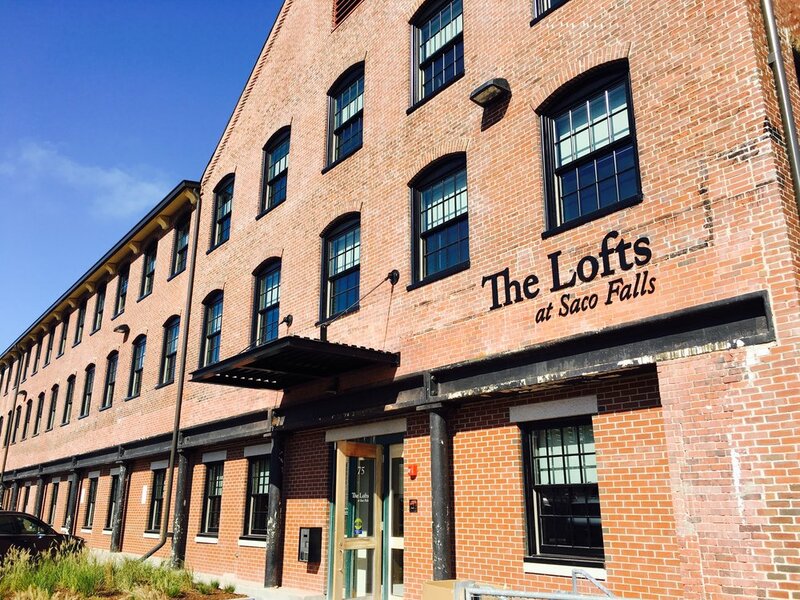 All 80 apartments inside the Saco-Lowell Shops were leased by the end of the first month of availability—an eye-opening demonstration of the pent-up demand for high-quality, affordable and market-rate new rental housing in Biddeford. 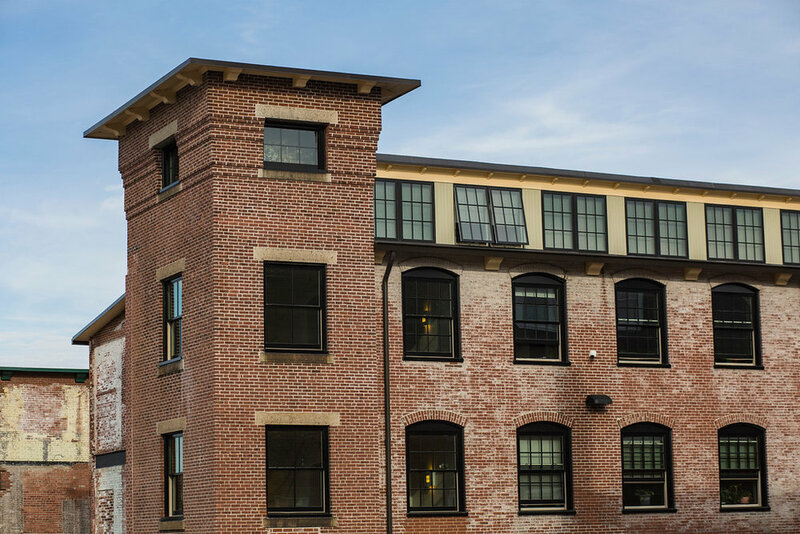 An empty and forlorn structure facing demolition was transformed it into a state-of-the- art residence for 80 families, while also creating a facility that helps to interpret the industrial history central to Biddeford’s cultural identity.